Yoji is the definition of a rock star trapped in a DJ’s body. His powerful stage presence teamed with his unique style of dance music has made him one of the icons of the global dance movement. In 2003-2004 Yoji Biomehanika, having already achieved rock star status in his country of Japan; took the world of EDM by storm. This was a year that an underground and relatively unknown electronic music DJ from Japan, headlined Sensation Black, among other top events, and became one of the phenomenon of the year in dance music. Yoji went on to headline such festivals as Tomorrowland, Trance Energy, Street Parade (Zurich), Dance Valley and so many more, and was launched onto the international DJ scene, entering the DJ mag top 100 at an astonishing #33. Yoji spearheaded the evolution of dance music in many genre’s including NU-NRG, UK Hard House, Hard Dance and Hard Trance. Any event dark and hard, was headlined by Yoji Biomehanika. By 2007, Yoji feeling the artistic need for change, took a very different direction with his music, and decided to drop ‘Biomehanika’ from his name, and took the music route to explore a side heavily influenced by Techno. Now, 10 years after his arrival on the global stage. 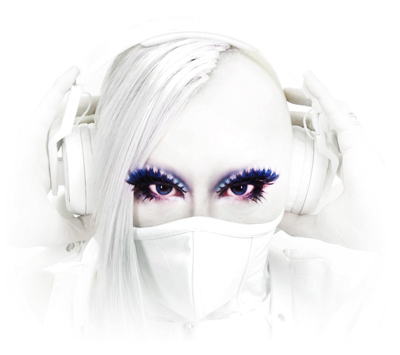 Yoji has decided to once more return to his roots, and re-launch the Yoji Biomehanika brand, where he will once again dive into a melodic, powerful, and euphoric sound he was once known for, influenced by and also influencing the evolution of Trance, Hard Style, and Hard Dance. Those who have seen and heard Yoji have been stunned by his performance, by his unique and often obscure but always-powerful track selection, along with his faultless and charismatic mixing ability. Yoji is an enigma, a DJ that when you see, you will understand why so many love and respect him. generation!